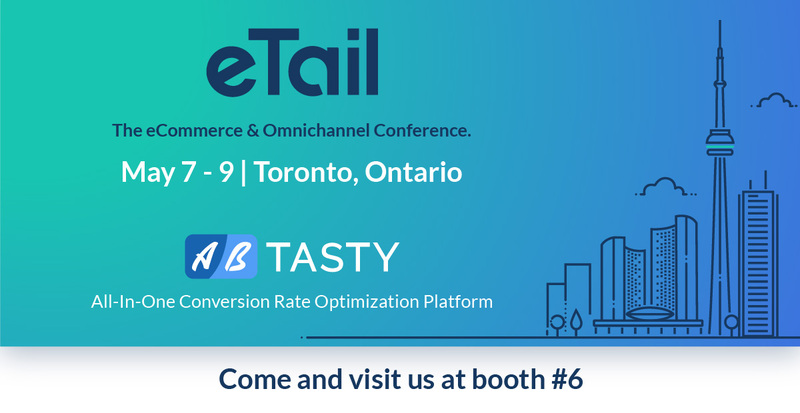 AB Tasty is a proud sponsor of eTail Canada in Toronto from May 7-9! eTail Canada brings together the top minds from Canada's most successful retailers for strategy, networking, and actionable insights. With the most disruptive ecommerce content and a focus on technology, eTail is designed to help you optimize the profits from your business. Want to meet with the AB Tasty team? Fill out the form to the right to get your free website assessment at the event and come see us at booth #6! We love chatting about web optimization insights, A/B testing, engagement, and personalization, as well as how innovative thinking can help companies continue to increase its ROI.